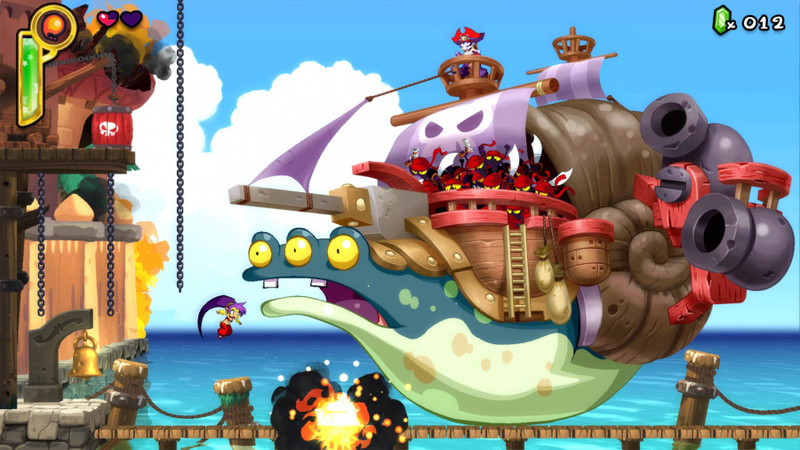 Developed and published by WayForward Games Shantae ½ Genie Hero is the latest title in the long-running Shantae series, which is a top-tier platforming series with some Metroidvania elements, but how does this adventure stack-up to the rest? Continue reading our review to find out! 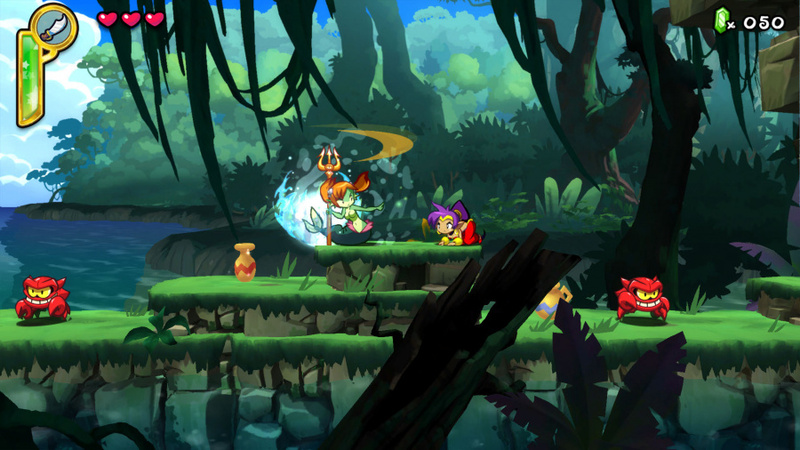 The gameplay in Shantae ½ Genie Hero is quite a bit closer to a traditional platformer compared to its previous entries which were more akin to Metroid or Castlevania, though a few of those elements such as upgrades and transformations remain. As usual you attack enemies with your hair whip, and transformations which return from the very first Shantae title, allow Shantae to reach previously impossible to reach places. The game does seem a bit shorter than a typical Shantae title, but it makes up for it with various modes that completely change the way the game plays, such as The Mighty Switch Force mode where you must utilize switch blocks to travers courses while collecting criminals and shooting enemies. You can also kill enemies by launching them into your TV screen with the switch blocks, but be careful not to do that to Shantae now. Other fantastic modes include the fast-paced Ninja mode which allows Shantae to scale walls, slash enemies to ribbons, ans use throwing weapons. Then there's the Friends Till The End and Risky Boots campaigns which shed more light into the main game's story. There are many more modes than the one's that we mentioned and best of all, they all have a unique storyline which really adds to the replayability of the game! The controls in Shantae ½ Genie Hero are intuitive and easy to learn while the difficulty varies greatly depending on the mode you choose. The audio-visual presentation is superb as the characters and world are lush and detailed with gorgeous use of colors while the voice acting "what little there is" and the soundtrack are flawless and fit the game perfectly. With incredible gameplay, a ton of different modes offering an insane amount of replayability, flawless controls, and a superb audio-visual presentation Shantae ½ Genie Hero is an amazing game that is nearly perfect in every way and as such, not only do we give it a perfect score, but we're also awarding Shantae ½ Genie Hero our 2018 Indie Game of Fame Award which means that we think that it is the best indie released since August 2017! Your Metatags are missing. Nice review though. Why does WiiWareWave keep going down on a daily basis lol? @Aqua Cherry Blossom My apologies our web-host appears to be experiencing som technical difficulties at the moment. Good review! 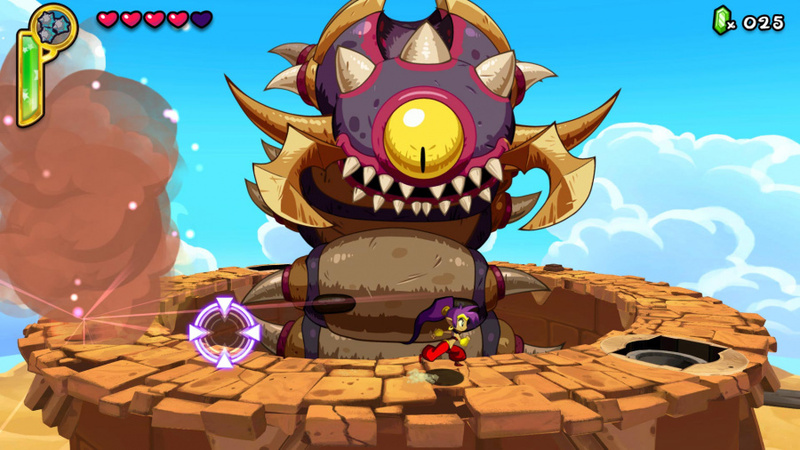 Shantae Half Genie Hero is a great value for what you get. I can vouch for the quality of this entry. Awesome review, @Reanfan! @Reanfan nice review as always.